Saltbush Surf and Leisure was founded in 1995. This store has gained a reputation for fantastic customer service and the best range of apparel, accessories and fashion items. You'll want to check out the huge selection of sunglasses. We have become probably the biggest Sunglass store outside of Adelaide. We are the only independent eyewear store in South Australia to run the Oakley Custom Sunglass program where you can build your own Sunglass from individual parts right in store. The shoe wall is massive and over a thousand T-shirts hang at any time of the year. The girls have their dedicated space upstairs full of goodness. People travel for many kilometres to shop for Thongs, Shorts, Hoodies, Tees, Pants, Jeans, Wallets, Luggage, Shoes, and of course Sunglasses because of the comprehensive range and great service. 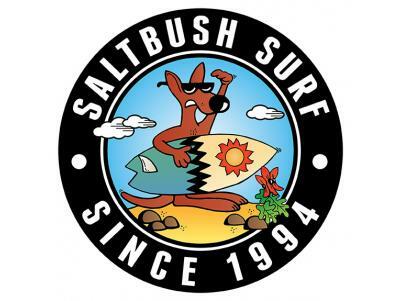 Make sure to like Saltbush Surf and Leisure on Facebook and add them on Instagram! Visit the store at 4 Church Street, Port Augusta, or call on (08) 8642 6855.